Hey guys! Been a while! I think Fulmer is a person who knows what it takes. You have to remember he is a guy who wasn’t a head coach and inherited a program with less of a track record than Harper or Pruitt had and well we all know how well he did. He also coached during a time most of our athletic programs were at the top. So, he knows what all of it should look like. He also ponied up to keep Barnes and to hire Chaney, so he clearly wants to win. Adams had a choice to write a positive or negative article and would have had a point either way, but as usual he chose the negative and it seems it works well for him considering his reign. Let’s always remember Adams is a Bama grad and Bama fan. Don’t ever forget that when you read his typically negative slant UT articles. I've not weighed in so far about Harper but decided to do so after kicking around some thoughts about it these past few days. It was unlikely the top names were going to jump ship from their programs unless there was an extremely large salary the university doesn't appear to be able or willing to pay. That left some middle tier coaches, some of which are much more proven than Harper and perhaps should have been given some consideration. This is definitely a safe hire from the perspective of gender and history that were present with the previous coach but I don't think it's the same type of hire. One major difference I see between Harper and Warlick is Harper left the fold and and has been the head coach at two mid major schools and one P5 school. Her time at the P5 school wasn't very good and hopefully she learned from this. Harper was young and was attempting to replace a legend not a Pat's level but someone with a ton of history and success. Harper is still a young coach but since she's been around the game for so many years she's got some history and has likely learned how to handle success and failure as a head coach. Now she has one of the largest stages in the country and will have a microscope on her by a strong yet hungry and divided fan base. I don't expect miracles. The roster, if it stays together, has some talent but also some deficiencies that must be addressed through recruiting and improved execution on the court. I don't hold Warlick 100% responsible for the failures of the last few years but that's what happens to a head coach when the team doesn't perform. My hope for the LVs isn't to win a NC next year but to remind the rest of the country the TN name and tradition aren't gone completely and that they are still a program to be reckoned with. I hope all rally behind Harper and the players as they make this transition. Adams would have written a negative article no matter who was hired. Agreed. CKJH may not have a better record (yet) than Holly, but she has far greater potential. Jus statement was true. Yesterday was further proof to just how fall the Lady Vol program has fallen. Such a sad day for so many. One of the best posts I've read in this forum. The very heart of the matter, IMO, and the biggest test for KJH. Sort out exactly what "talent" is there, how badly has it been damaged and diminished, and how to make the best of what's left of it. I am so curious to see how this develops. Truth is, no one knows what we have at this point. We have highly-ranked high school players who have not shown a scintilla of the "talent" necessary to be even decent, consistent SEC players. I have never understood those who swear we have final four caliber players. Are you seeing secret games or workouts or something? Because what I've actually seen on court during basketball games cannot beat Vandy or Alabama, much less FF. General agreement that whatever talent was there was squashed by the ineptness of CHW. I believe this because there have been so many highly ranked kids who have failed to reach potential the last few years. Couldn't have all been over rated, lazy, soft, don't give a damn brats. Pretty clear Professor Holly was getting Merit Scholars in and turning kids who couldn't read out. Zero ability to develop potential into talent; arguably she made players worse. Question is, how much can be salvaged and how long will it take. IMO we better be patient, this will be a process. Not sure KJH can just waltz in and repair all the damage in a summer. Hope so, but not sure. Very solid post. I think that is part of the reason a change had to be made. These classes have been rated high yet the players leave as underperformers based on their ranking. Many struggle to get drafted or make a WNBA roster after promising upside but leave with weaknesses still undeveloped. Are they all overrated versus the players other top programs get? Possibly. It is expected that this program should easily get good players. There are two questions related to regime change on this topic. 1) We will start to see if there are some fundamental skills that can be developed in the players on this team, who and how much? These players struggle with the basics - lay ups, smart play, playing hard for 40 minutes and some dribble too high like middle schoolers. 2) Can Harper recruit at an elite level? We will find out pretty quickly and there are no excuses if she struggles in this area. Recruiting classes in the 20's is unacceptable unless we only have room for a single commitment. Even then that person should be ranked pretty high and not a 3 star. You are correct. My mistake. Regardless, he always seems so negative toward UT. If the quoted passage is any indication of the larger editorial, Adams sounds like a fan ranting on a call-in show. But maybe Harper will do great and even get the team to the final four (but I sure hope not because it will be harder to draw readers to my contrarian columns). I am guessing Adams is a reader and poster on this board because it looks like he aggregated VolNation comments to put this thoughtless "thought piece" together. That said, I was most impressed with KJH’s presser. She was very poised, seemed down to earth, and her love for the program was certainly evident. I can see how she would have knocked an interview for the head coach of the Lady Vols out of the park! I like her more with each interview I watch. Also, I was particularly touched by what she said about Holly. Time will tell if she is successful, and I feel she will be. I am definitely rooting for her! She qualifies to be Head Coach imo, so, ^ This is firstly, for me. We play UConn in this upcoming regular season, right ?? So far, I will let the results speak for themselves. As for trusting Fulmer's judgement, and if you hear today's introductory PC, I only hope his judgement is better than his public speaking skills. As for his hires, I am not going to blindly praise them, because so far none have done much so far UNLESS you count retaining Barnes this week. So excuse me if I don't join you in singing, "How great Phil art" or "Oh, how I love Fulmer". As for Harper, it's wait and see. On the positive, she did a nice enough job with Missouri State. Yeah NC State left much to be desired, but trying to follow Kay Yow is tough. I hope she is following Pat's example and how things were when she was at the top of her game. The fact Kellie was right in the middle of that gives me hope for her. However, she needs to make the leap toward that quickly, or she will be viewed as another cheap hire and trying to hang onto the past foolishly. Kellie was a player I loved having with the Lady Vols, and I hope her return as HC is a return to greatness for this program. But I will believe it when I see it. Public speaking may not be the man's strong suit, same for a lot of people, but he wants all of Tennessee's athletics to be top notch. I was one of the holder's on with Fulmer when he was coach, thinking he would get things turned around. Having done a good bit of research about him, he was a good coach, but not really a great coach. I finally had to admit he needed to be replaced. Looking back at the debacle of Tennessee athletics since that time, Fulmer has come in and is trying to right the ship. He lives and breathes Tennessee athletics, so he will make hires he feels confident will return a competitive balance to Tennessee. As you say, seeing is believing, so we all shall see. One thing I will correct for you though, I only sing "How Great Thou Art" and "Oh How I Love Jesus". I don't worship any man or woman. I guess my biggest concern is her in-game coaching. Has anyone on this board watch her teams play? Does she make good in-game/after half-time adjustments? Do her players give full effort? Do they appear to be organized, and know what they are doing on the court? 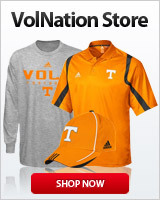 I am sorry, I am a Lady Vols fan, but not necessarily a big women's basketball fan. The only game I saw was the NCAA Tournament game against Stanford. Lady Cardinal's had a battle with them. I thought the biggest problem was her big post girl. Not fast enough to deal with the Stanford big girl, that may have been the difference. Well good for you, but there are plenty of others who have this silly reverence for Fulmer. Like you, while he was the HC, I hoped he would set things right. I really hoped he would, and was saying "He deserve this" as his players carried him on their shoulders at the end of his final game. I hated watching him and Chief leave the field that night. The main reason I have angst with him is reflected in my avatar. Nuff said about that if you have done a "good amount of research". It was a few years later when I learned about that incident. So, the trust we both shared in him before went right out the door for me. Had that happened nowadays? Forget the debacle afterwards. All put together wouldn't have equaled what that would have wrought with today's social media. I just can't put trust in any man judgement who did something like that even once. For the people who thinks she will do well, can you say why without mentioning her being like Pat? Some people were upset about the hiring of Rick Barnes as well and look what happened. Give her a chance before you burn her at the stake. I believe Barnes already had close to 20 NCAA tournament appearances and a final 4 under his belt. Texas was stupid for letting him go. Know we had a great with Barnes. As for Kellie. 5 NCAA Tournament appearances in 15 years. Was not successful in her stint at NC State. People can spin her time at NC State any way they want but the facts are facts. Anyways, I hope we have made the right hire and hope she proves a lot of people wrong. We'll see. Also, the expectations for her need to be as high as the bar was set for Holly. This is also a program that has not made a Final Four or won a national championship in over a decade now. Pat set the bar very high. But even Pat went almost a decade, from 1999 to 2006, without winning a national championship. We've got to get back to our winning ways. However, many programs passed us this past decade and have to figure out how to compete with them as soon as possible. Coach Harper has been HC at 3 schools. 2 mid-major, 1 P5. Her first job she took the school to new heights and by all accounts overachieved there. She did the same in her 3rd job, culminating in this year's Kay Yow award. Perhaps the one P5 job in the middle is the outlier? Maybe the problem was that PARTICULAR job at that particular time? At NC State she immediately followed their Summitt, at a time when that whole athletic department was a complete dumpster fire. Think UT between Dickey and Fulmer, that bad. Everything there was a mess, the AD that hired her was pushed out so she had to work for an AD that didn't hire her, and we know how that goes. We UT fans lived the nightmare of a screwed up administration affecting our sports for years, so we of all people should offer grace here. I'm willing to presume that the NC State job may not reflect her actual abilities. At UT, she will have the best facilities and a top-2 all-time WBB brand. She will be given everything she needs to be successful. She's shown she can get it done at places with few to no resources for WBB, and now we'll see if she has what it takes to become elite at an elite program. Not sure I agree, her 1st job yes she took them to new heights, but Missouri State has actually been to 2 final fours and multiple other great 8’s and Sweet 16’s. Her winning % there is pretty much the same as their overall record, no better and no worse. Only because Hart put Holly in the impossible position of having to agree to accept the head coach job was she EVER even close to being interested in being one. Holly obviously never displayed even the least bit of ambition to have her own program in 30 years as a coach. So she stayed a lifelong assistant until, basically, being thrown into the head coach role by Hart. Holly probably felt like she couldn’t say no in that situation even if she knew she wasn’t head-coach material, and so, in the interest of continuity, said yes. What Holly did was brave, but in hindsight, also a huge mistake for her professionally. Holly was born to be the moral support behind whichever leader she followed. On the other hand, Kellie knew early in her life that she wanted to be a LEADER, the head coach of her own program, and early on became the youngest head coach in the NCAA. Kellie was born to lead, and she always knew it. Pat herself knew that Kellie was bornto lead and even told her that she would likely end up coming back to coach the Lady Vols someday. That’s the difference, and that difference will show this upcoming season. I couldn’t be more certain of this. Serious question. How do you know Holly did not want it and was forced into it? She had certainly had the opportunities to go elsewhere and had chosen not to go. How much of that was love of UT and loyalty to Pat I never knew. If she took it under the conditions you state, she really deserves appreciation for trying (and, yes, I know she did not succeed. Be gracious people; she’s gone). Hart was very detrimental to women’s athletics, and just my opinion, Holly always seemed scared to death of him. I wish we could message privately. But yes, Holly does deserve appreciation for having navigated an impossible situation. I do appreciate it, but sorely wish she had not been so stubborn in her refusal to accept any responsibility — not one scintilla — for the obvious decline. That said, I literally pray for Holly every day that she will soon recover from the hurt she’s feeling right now. I don’t personally know a single person who wants anything but happiness and success for ALL Lady Vols, present to past to future. I’m all-in for Kellie, and I hope Holly is, too. Holly is stubborn; that can work both ways. In this case I agree it did not work to the good. It could have been better for both her and “us”. That said, she had to navigate some very difficult waters. He whom shall not be named did nothing to make it better and much to make it worse. Just mo and iswi. Agreed. Operative word is personally though. I am and truly believe Holly will. She is hurting now, but she is a Lady Vol. I can answer that for you. NO. She doesn't run an offense and doesn't seem capable of making adjustments. Whoever gets the ball shoots it. That's her offense.